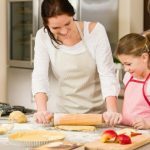 As a mother of children with multiple food allergies, and a person that developed a shellfish allergy as an adult, I have a lot to gain from a cure for food allergies. For that reason, I spend a lot of my extra time reading published studies about food allergies, and support and encourage organizations that work towards finding a cure. 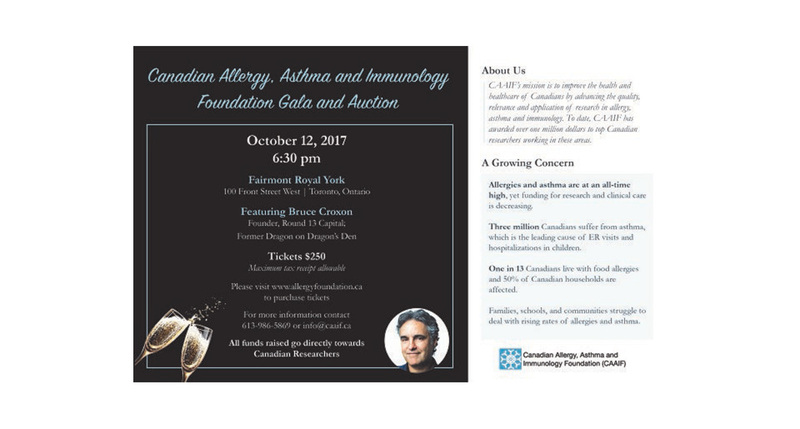 I recently heard about the Canadian Allergy, Asthma & Immunology Foundation (CAAIF) Gala and Auction that will take place on October 12th. My interest was further peaked when I learned that all funds raised go DIRECTLY towards Canadian researchers in search of a cure for allergies and asthma. 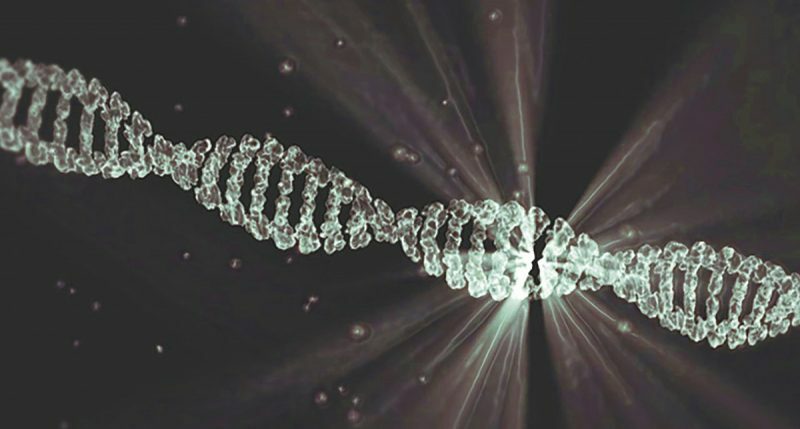 In an exclusive interview with Dr. Susan Waserman, the President of the Canadian Allergy, Asthma & Immunology Foundation, she described the many ways the CAAIF improves the health and healthcare of Canadians by advancing the quality, relevance and application of research in allergy, asthma and immunology. I am an allergist and clinical immunologist at McMaster. I see both adults and children. In allergy and clinical immunology, we see a wide variety of problems such as asthma, allergic rhinitis and eczema, but my passion clinically and research interest is with food allergies and anaphylaxis. Why do food allergies interest you so much? 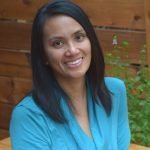 I think <my passion> was spurred on by the fact that allergies is what seems to be the biggest concern to a lot of my patients and their family doctors. And it’s one for which we still don’t have a cure or good treatment the way we do for other allergic diseases. So this is what put food allergies front and center for me, and we have a big food allergy research program as well. There’s a big unmet need in allergy, and now that I’m the President of CAAIF we’re increasing our fundraising efforts to raise money for research, not only for food, but for everything. 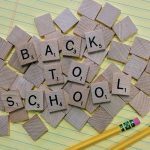 It’s amazing how much attention is going to food allergies, precisely for those reasons – there are no markers for severity and beyond avoidance and desensitization products that we’re expecting down the line in the next few years, there really isn’t a cure. Can you tell us more about the CAAIF? The Canadian Society of Allergy and Clinical Immunology (CSACI) is the National physican group organization for allergy and clinical immunology across the country. There are approximately 350 members. It also includes some researchers involved in allergy who are not physicians, in addition to allied health professionals such as nurses, respiratory therapy who have an interest and aptitude for allergy. The Canadian Allergy, Asthma and Immunology Foundation (CAAIF) is a registered charitable organization within the CSACI. The purpose of the foundation is to improve the lives of allergic Canadians through education and funding research into treatment of allergic disease. 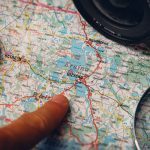 We are the “go-to” people for new information that may come up in research or in the media. We do a lot of good work and we haven’t given enough visibility to it. Over the years the CAAIF has awarded over one million dollars in research. The funds raised by the CAAIF go completely to research, and not for the operation of the organization. The CAAIF has research fellowships awarded to people who apply. and applications are peer reviewed. The Gala is the kick off event for the CSACI annual scientific meeting, which is a four-day meeting starting the next day focused on providing the best education for the allergy community. This is the second year that we’re having the Gala. Our foundation has been quiet over the years in terms of more formal fundraising, but I became the President of the CAAIF a couple of years ago and this was one of the ways we felt would be important not only to give visibility to allergy and clinical immunology, but to get our group more active fundraising and to reach out to community. Bruce Croxon is the keynote speaker who is excellent and will be speaking to the audience with his perspective as an allergy parent and a venture capitalist. How can the food allergy community support the CAAIF? Any support, either by attending the Gala or through a donation, would be much appreciated. We will also have a live auction and the proceeds are all going to research. 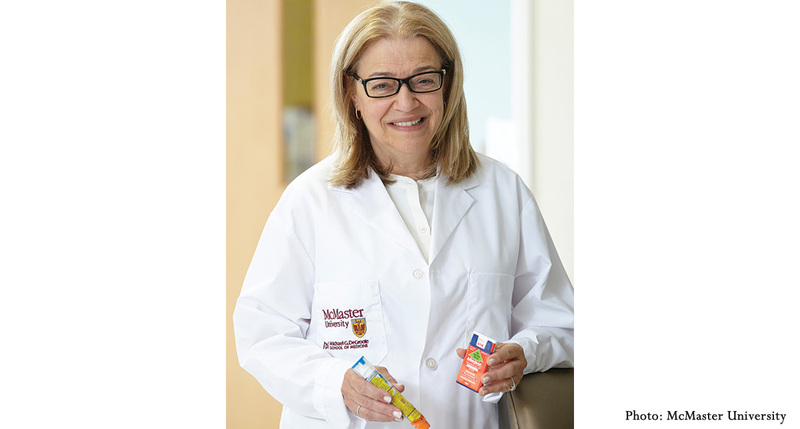 Dr. Susan Waserman is a Professor of Medicine in Clinical Immunology & Allergy at McMaster University in Hamilton, Ontario and a Staff Physician at Hamilton Health Sciences. She is widely known for her research in a variety of therapeutic areas related to allergy, including rhinitis, asthma, as well as determinants of allergic expression in asthma and food related anaphylaxis.